For those of you like me who enjoy Bulleit Bourborn you know the great whiskey that comes that company. Back in 1987, the Bulleit Distilling Co. was founded by a young entrepreneur who quit his job as a lawyer to pursue his true passion – creating quality bourbon. 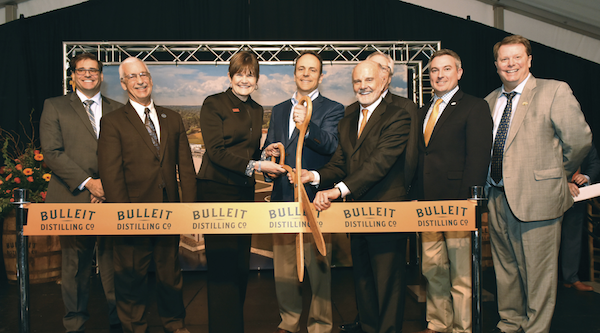 Now after millions of cases of whiskey later, the Bulleit brand is proud to celebrate its 30th anniversary with the official ribbon cutting event for the opening of its new distillery in Shelbyville, Ky. Governor Matt Bevin and a number of other elected officials and dignitaries joined Bulleit Distilling Co. Founder Tom Bulleit for the festivities and tours of the new distillery. 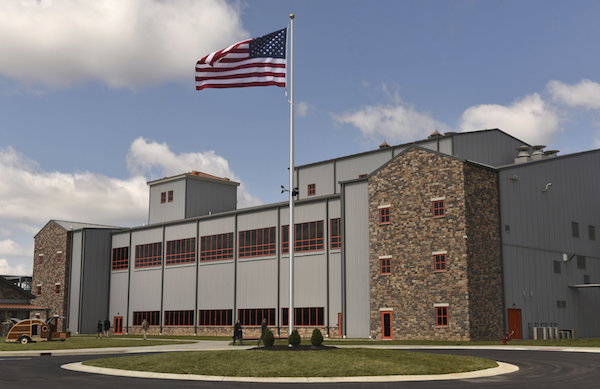 The distillery, which has already begun producing Bulleit Bourbon represents the latest technology in warehousing and distillation, including enhancements that help conserve and reuse resources, resulting in improved efficiency and less impact on the environment. The 300-acre campus includes four barrel houses (each capable of holding 55,000 barrels), a 52-foot still that was crafted by Vendome Copper and Brass Works in Louisville and the first industrial solar array in Shelby County, which will collect enough energy to run all on-site mobile equipment. 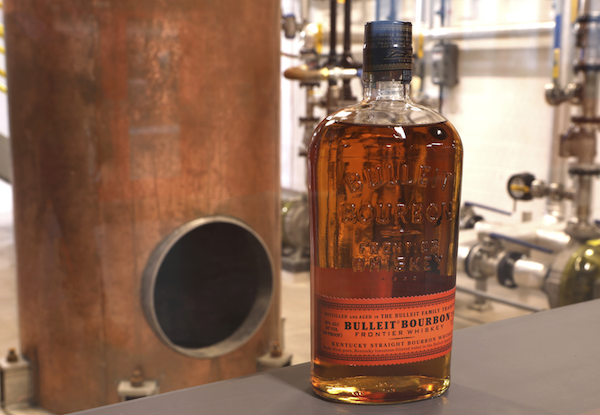 As they celebrate the opening of the Bulleit Distilling Co., they hope fans of the brand will join them in raising a glass responsibly, of course. Print article This entry was posted by Art Eddy III on March 15, 2017 at 11:01 am, and is filed under Lifestyle. Follow any responses to this post through RSS 2.0. Both comments and pings are currently closed.